Three fused and slumped glass bowl/platter forms, each approximately 50cm in diameter. 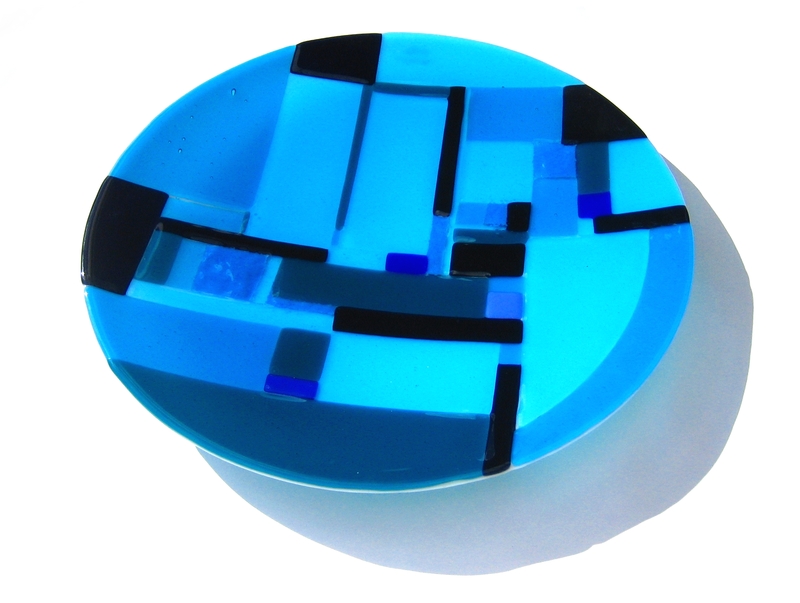 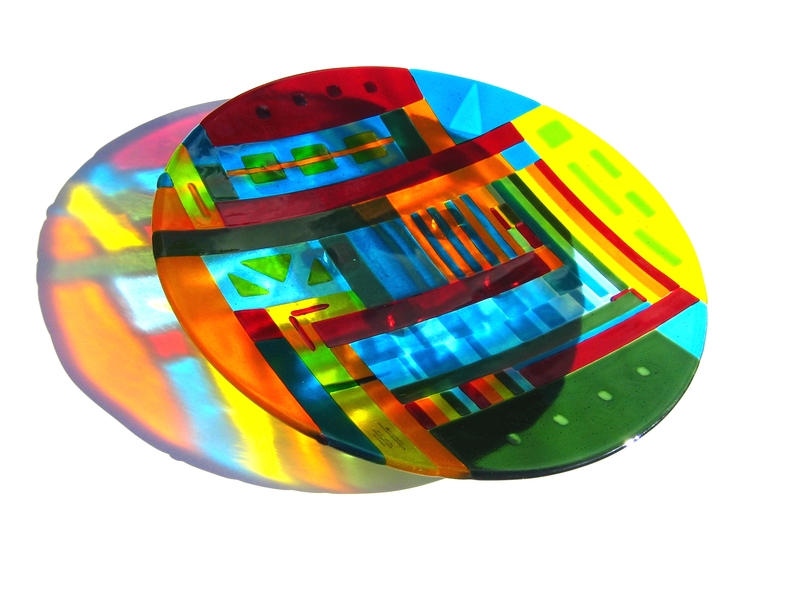 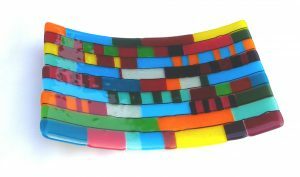 Slumping is the process by which fused glass panels can be given three dimensions by allowing them to slump into or over moulds or prepared shapes. These can be simple curves, bowls or more complex shapes.